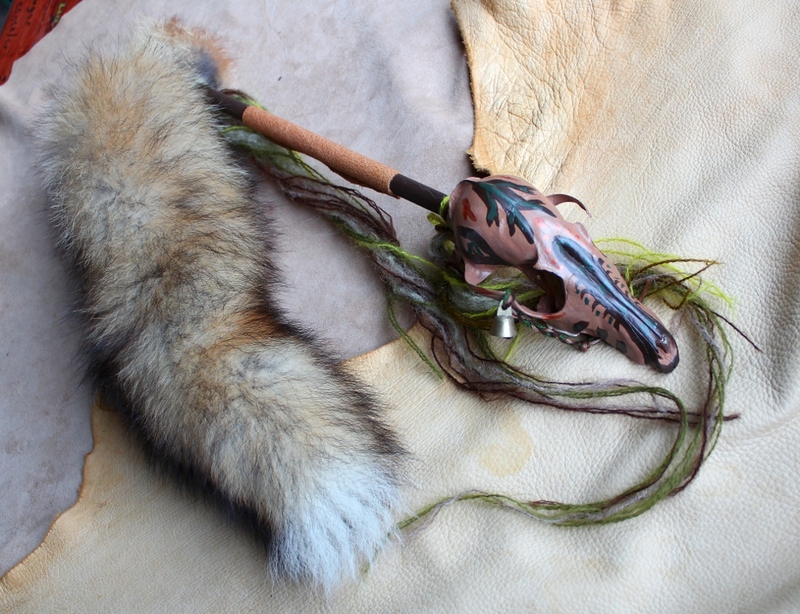 I took a real red fox skull that I got from another crafty friend, and painted it with a variety of earth tones and splashes of bright copper and sealed it to prevent chipping and other damage. 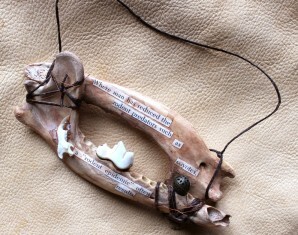 I adorned the one remaining zygomatic arch with a brass bell and a braid of vintage secondhand yarn and artificial sinew. 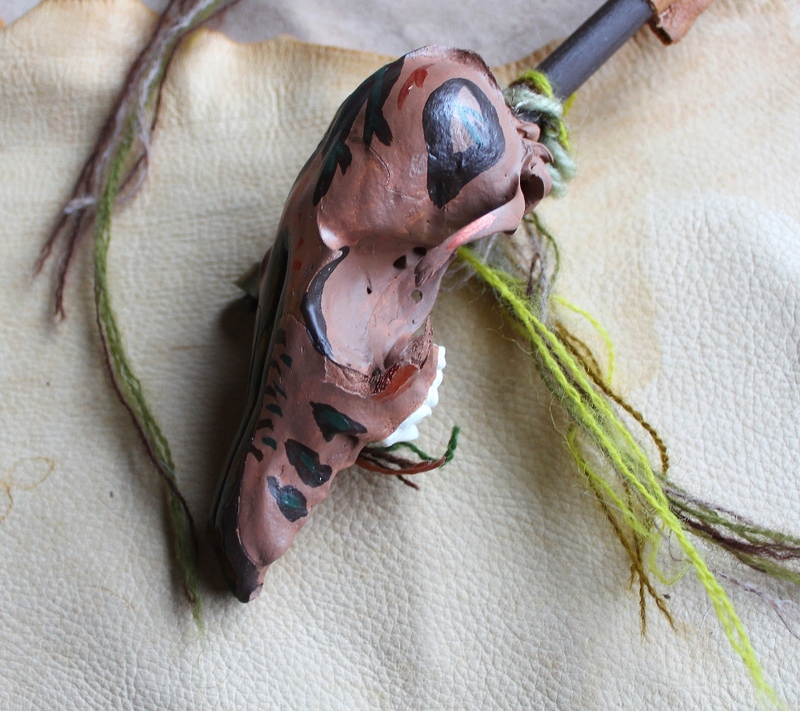 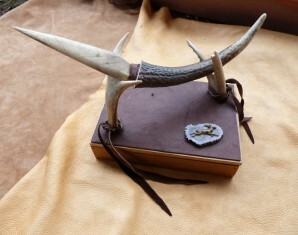 I filled the skull with gravel for a sharp rattle, and mounted it on a sturdy wooden dowel, painted brown and wrapped in red-brown leather. 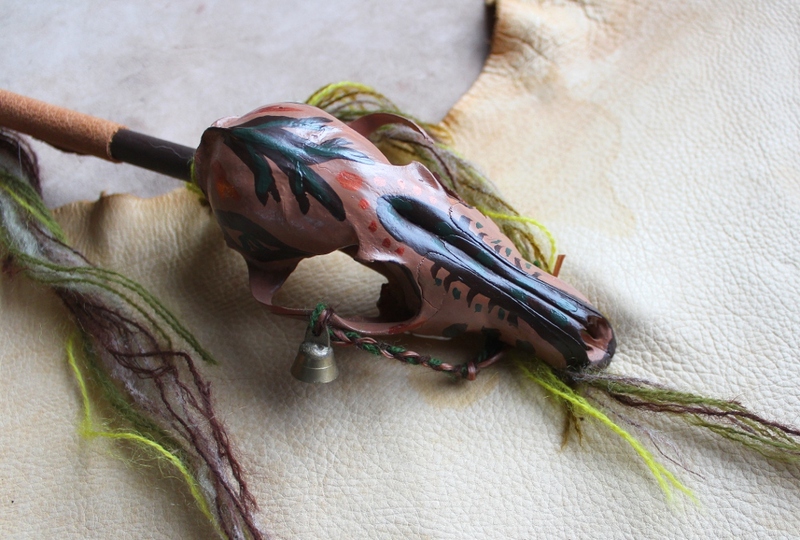 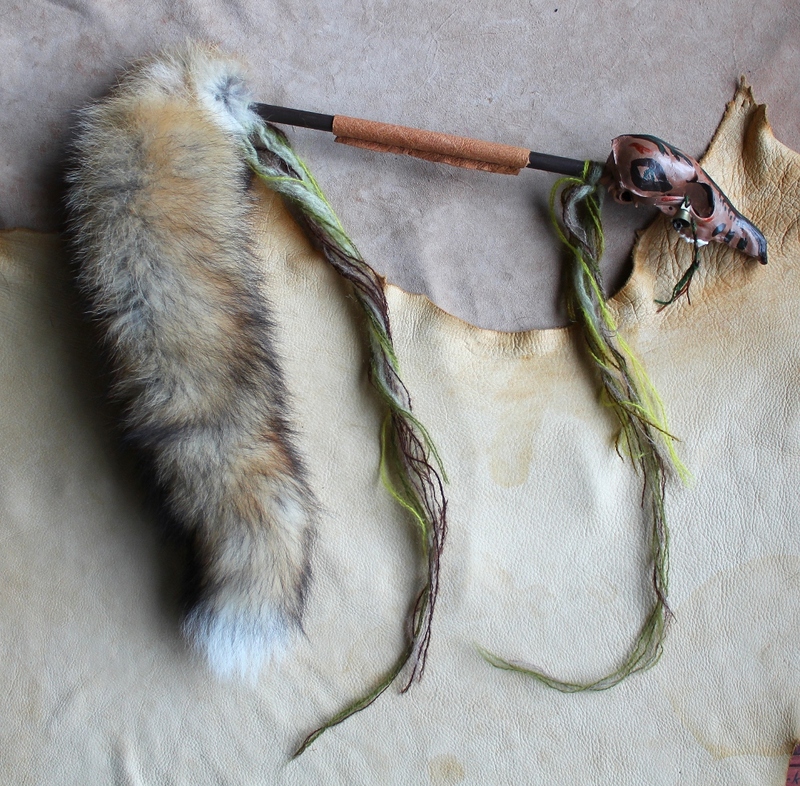 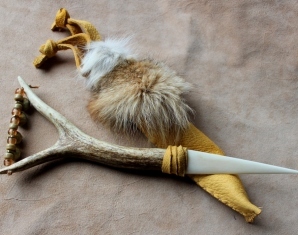 The handle is decorated with long, mossy tassels of vintage secondhand yarn and a real secondhand red fox tail from another person’s collection.